On Zulily today you can save up to 55% off girls clothing from Yom Yom. The above off-white Cropped Heart Shirt is just $10.99. 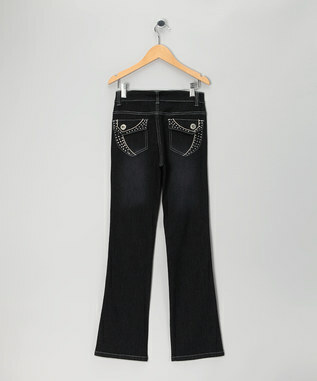 These cute Black Sparkle Bootcut Jeans are just $12.99. I see sizes from 7 to 16 and there are lots more clothing options.